Kota Kinabalu (Tuesday) - Launched ten years ago on 29 January 2008, Sabah Development Corridor was introduced during the Ninth Malaysia Plan, to enhance the quality of life of the people by accelerating the growth of Sabah's economy, promoting regional balance and bridging the rural-urban divide while ensuring sustainable management of the state's resources. It is part of the five economic corridors in Malaysia. With SDC's theme 'Harnessing Unity in Diversity for Wealth Creation and Social Well-Being', the SDC programmes are underpinned by three key guiding principles for the development of Sabah, namely the need to: capture higher value economic activities, promote balanced economic growth with distribution and ensure sustainable growth via environmental conservation. Sub-regions and growth centres will be planned systematically to ensure optimum resources utilisation, and development efforts are well-coordinated. During a talk, organised by Maktab Koperasi Malayia's Program Bicara Ilmu: Halatuju Polisi dan Dasar Kerajaan terhadap Pembangunan Ekonomi Koperasi (Talk on Government Policies towards Cooperative Economic Development), held on 9 August 2018 in Sandakan, participants were briefed on SEDIA's role to help expedite the implementation of SDC by Datuk Dr. Mohd. Yaakub Hj. Johari, Chief Executive of Sabah Economic Development and Investment Authority (SEDIA). The Sabah State Legislative Assembly had approved the instrument for the establishment of SEDIA via the adoption of Sabah Economic Development and Investment Authority Enactment 2009. The Enactment was assented by Tuan Yang Terutama Negeri Sabah on 23 February 2009 and gazetted on 26 February 2009. SEDIA is established and is entrusted as the One-Stop Authority to drive SDC, with the primary responsibility to plan, coordinate, promote and accelerate the development of the SDC. Besides overseeing SDC programmes, SEDIA also provides fiscal incentives in designated areas, offer business and investment advisory, help investors to find right partners and facilitate SME development in SDC, to further attract investments to SDC. In facilitating the SME development in the state, SEDIA organised SME programmes that are consistent with one of SDC's three key principles, that is, capturing economic value activities. Started during the Second Phase of SDC (2011-2015), the SME programmes were aimed to build a critical mass of SMEs to serve downstream manufacturing company created, to expedite the growth in the new industries in Sabah and to encourage the society to be more involved in business and entrepreneurship. The initiatives became more vibrant as SDC enters into its Third Phase in 2016. 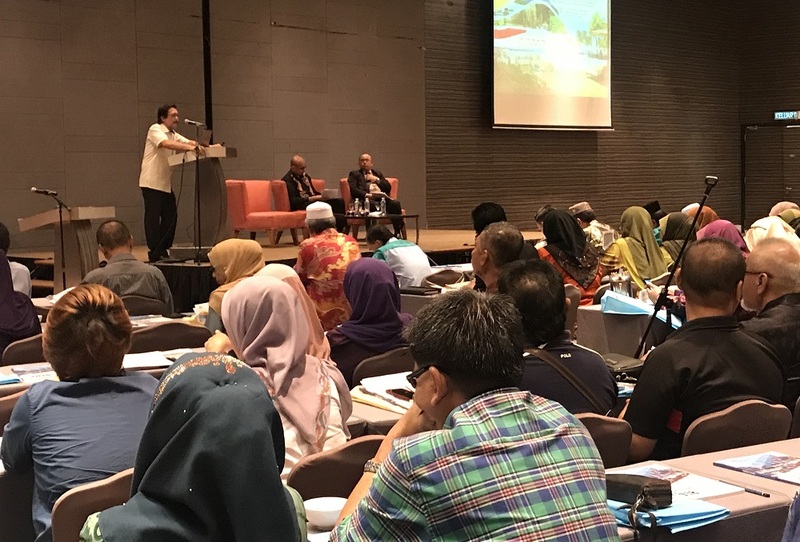 One of the initiatives in facilitating the SMEs was collaborating with Unit Peneraju Agenda Bumiputra (TERAJU) to help boost development of local entrepreneurs. Having a TERAJU@SDC secretariat located at SEDIA's office, has provided the support to enhance partipations of local entrepreneurs in SDC's projects as well as to assist entrepreneurs to get access to facilitation fund under TERAJU. Aside from working together with other agencies, SEDIA also organised a variety of entrepreneurial activities, among others are the 1AgroSAIP (downstream agro training), HotDesk (basic entrepreneurship training) and SDC 1Bizlink (business advisory services). Most of these programmes take place at Sabah Agro-Industrial Precinct (SAIP) which is also one of the SDC's flagship projects for entrepreneurship and SME development. These are some of the areas that the local community and entrepreneurs in Sabah can take part. Measures implemented under the SDC have clearly succeeded in drawing in investments into Sabah. By the Second Quarter of 2018, the SDC recorded RM166.33 billion of cumulative committed investments. Investments in SDC has clearly gained traction that by 2017, Sabah recorded its annual GDP growth at 8.2 percent, the fastest in Malaysia overtaking all the other states in Malaysia and surpassing the national average at 5.9 percent. The Department of Statistics observed that the rapid economic growth was driven by major government initiatives especially the implementations of SDC projects. Skilled, talented and adaptable workforce: creative and innovative. The event was officiated by YB Tuan Arifin bin Asgali, Assistant Minister at the Chief Minister's Department. The event was attended by more than 250 members of various cooperatives from Sandakan, Beluran, Tawau, Lahad Datu and other districts. Also present were Dr. Norazlan Bin Hasbullah, Director of MKM, Sabah, Tuan Mohd. Pisah Ali, Deputy Director of MKM, Sabah, and Tuan Kastian Bin Hj. Dula, Deputy Director of Suruhanjaya Koperasi Malaysia, Sabah.